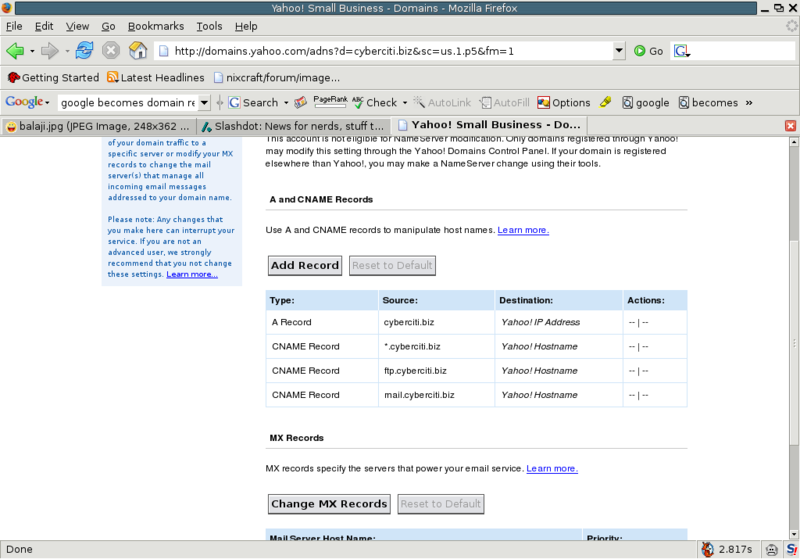 Yahoo enhanced my hosting services again! Last time they upgraded my account from 100 MB to 4 GB and today they have enhanced it again to 10 GB and what’s more data transfer has also increased to 400 GB. Almost everything in my plan has expanded Ã¢â‚¬â€ except the price. To be frank 2 days before, I had some issues with MySQL at that time I got some hint from tech support that they are enhancing disk space for all plans :). Why I had selected Yahoo Webhosting? Multiple IP address so that site runs 24×7 and it can take load. In control panel they have an option that allows to site grow on fly if sites get too many hits. You can also true off this feature. Unlimited MySQL database; you can creates as many as Mysql database you want. So far my experience with them is the one of the best service with multiple IP address just type nslookup www.cyberciti.biz and you will know what I’m talking about. www.cyberciti.biz canonical name = premium5.geo.yahoo.akadns.net. 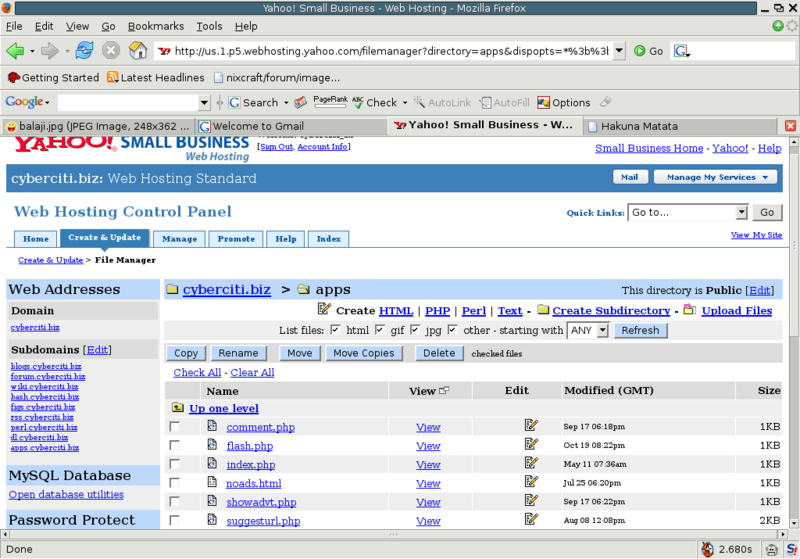 As far as control panel is concern it is also one the best with in build file manger that can create files, upload files and other management. But one question remained unanswered? Why the hell they enhanced it? My guess is Googles Ghosting/webhosting could be one of the main causes (it is not started yet). But google do have a plan to enter in this business (see Google becomes domain name seller) if I consider domain growth and Why Google Will Defeat Yahoo! in the Web Hosting War. Remember what Gmail did to yahoo and other email services. Before Google starts to offer massive hosting account Yahoo upgraded service and reduced prices. Good move, IMPO.